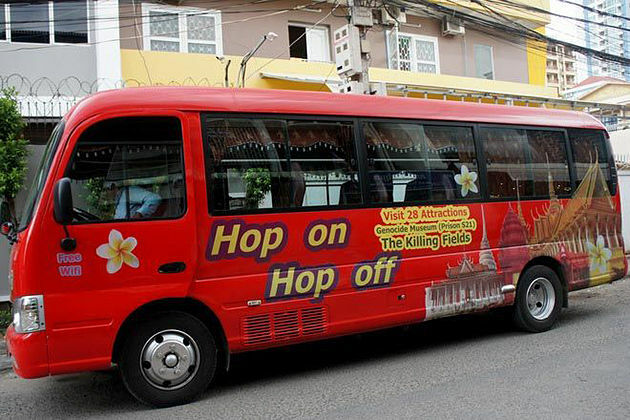 Cambodia tour is famous for its pagan temples and pagodas with very characteristic architecture. But very few people know that there are beautiful islands like paradise in this country. Islands only looked once, wanted to visit and contemplate immediately. If you are looking for a beach or island to “escape”, but you do not want to flabby in the familiar places like Phuket or Bali, the Koh Rong island (Cambodia) will be a great suggestion. 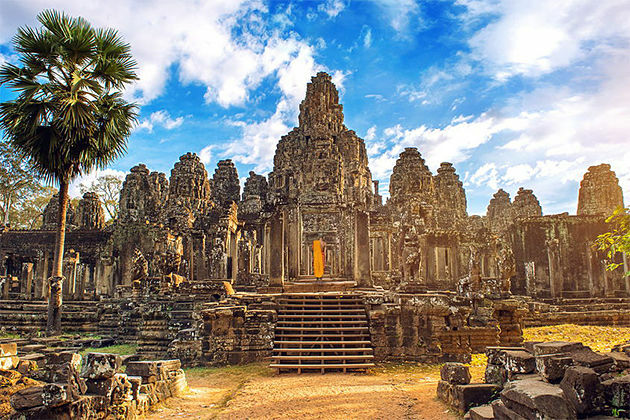 Almost tourists to Cambodia are known only famous tourist sites such as ancient and mystical Angkor Wat without knowing that in this pagoda kingdom there is a beautiful island no less than the Hawaii island. 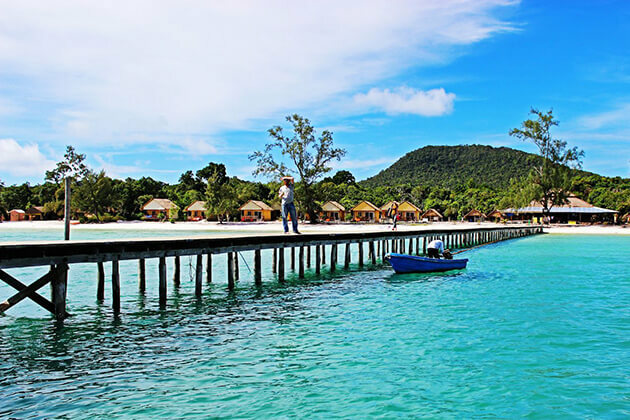 Koh Rong is one of the most beautiful islands in Cambodia. Covering an area of 78 square kilometers, it is the second largest island in this country. 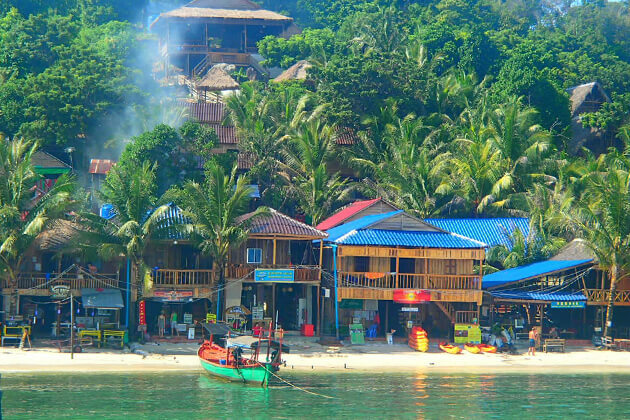 Koh Rong was voted by the New York Times as one of the 45 most rewarding places in the world and was dubbed the “Hawaii of Asia”. 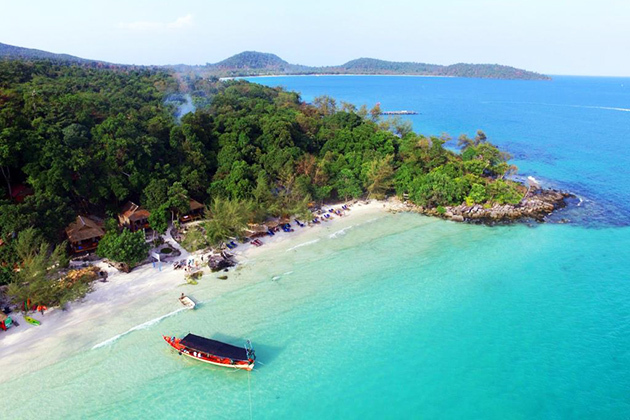 Situated on the south coast of Cambodia, 20km from Sihanoukville coastal city, Koh Rong is truly a pearl in the middle of the sea. 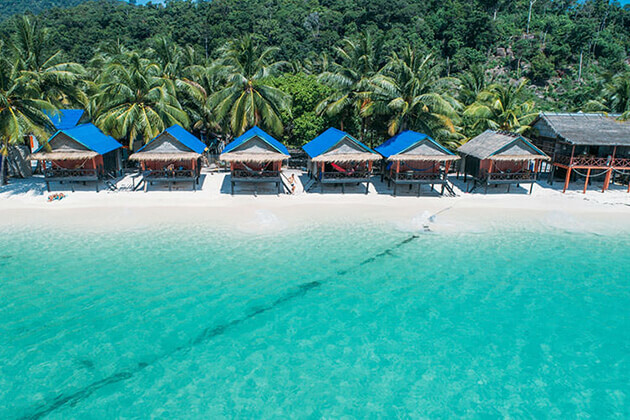 Only about 2 hours by boat in the quiet bay, opposite to vibrant Sihanoukville, Koh Rong Island is truly a pristine and tranquil haven – where you will love the moment you set foot – where you will be completely relaxed in the clear and warm water of the tropics. Previously, all the amenities on the island were just wooden lodges surrounded by tropical jungles and beautiful beaches. Gradually, many cheap accommodations were built on the island. Visitors can hike, explore the forest here. For those who enjoy swimming and sunbathing, this is the perfect place for those who want a healthy tan. Koh Rong is definitely a great place to relax. Koh Rong has a beautiful beach, white and smooth sand, combined with light blue water, easy to make people feel like a fairy. Along the coast of the island, there is a large row of neatly folded chairs for guests to rest free. You can enjoy the relaxing moment when you lay back here. Activities on the island include fishing, coral swimming, bathing, watching the sea from the Long Beach and seeing sea fireflies. The ship will transport you to the darkest place. Then jumping into the water, you will see many bright spots surrounded, it is very interesting. There are also many exciting games such as snorkelling (from $ 8 -12 including snorkelling, fishing, jumping, sunset watching, BBQ, fruit, fish lighting), zip line ($ 25- $ 35) ,trekking through the forest, kayaking ($ 8 – a half of one day, $ 12 – 1 day). You can paddle to a small island nearby 45 minutes, on the island, there is a small temple on the top, this is the most beautiful place for snorkeling. Rarely there are many wharves like Koh Rong. Probably by mean of the marine nature is very shallow, to anchor the boat, the wharf is stretched far away from the mainland. Whether it is on or under the bridge, it is also a good place to take beautiful photos. The night in Koh Rong was very busy. Bars, restaurants are along the beach with vibrant music. Come to Koh Rong, remember not to sleep early, but take the time to go to the beach, drink your own Angkorian beer and blend into the exciting music, it is really fun and different. 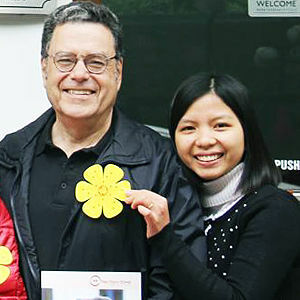 As the tourists are mainly Westerners, most food is Western, costing each dish 2-5 USD. In the morning there is fried rice, baguette, local noodles … BBQ dinner is $ 5 (bread with pork or chicken, seafood). The price of beer is 1-2 USD, cocktail from 2 USD, kebab 3 USD. And if you want to try Khmer cuisine, you can choose one of the menu items. Especially there is plenty of Khmer traditional dishes such as Luc-lak, chicken rice and vegetables, cooked with very fine cashew nuts, range from $ 2 to $ 5 for a normal meal. Money: Cambodians use riel or can use US dollars (4000 riels = 1 USD). And Cambodians do not seem to like the $ 2 (unlucky number), they prefer odd numbers 1-3-5-7, so you should avoid the $ 2 bill. Must have a passport and have a term of more than 6 months. From Sihanoukville buy a train ticket to Koh Rong Island: Roundtrip fare is $ 20 to both go and return (you remember to inform your return trip at the ticket counter at the pier).